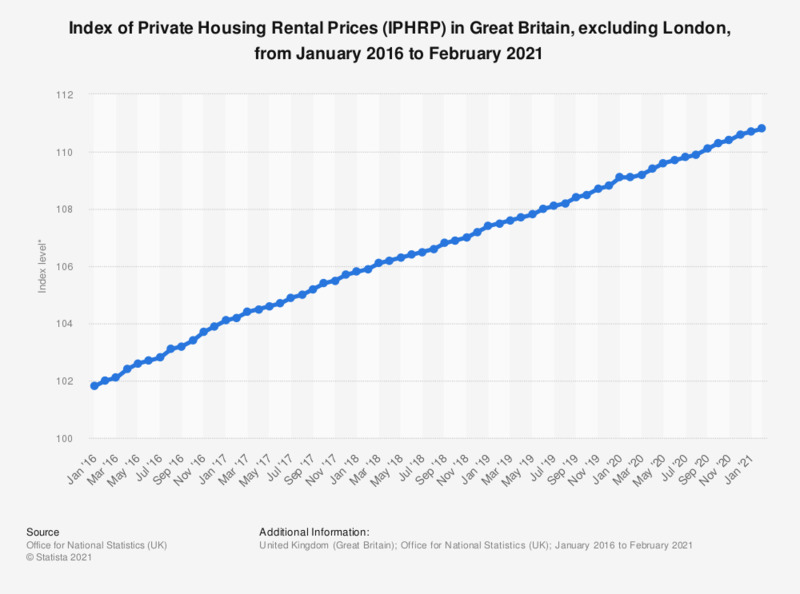 This statistic illustrates the Index of Private Housing Rental Prices (IPHRP) in Great Britain (GB) from January 2016 to February 2019, excluding London. The Index of Private Housing Rental Prices measures the change in price of renting residential property from private landlords, based on an index value of 100 in January 2015. The IPHRP increased gradually during the time period under observation, reaching a value of 107.5 index points as of February 2019. This was an increase of 5.7 index points in comparison to January 2016, when the IPHRP for Great Britain (excluding London) stood at a value of 101.8 index points. * Index level (January 2015 = 100).